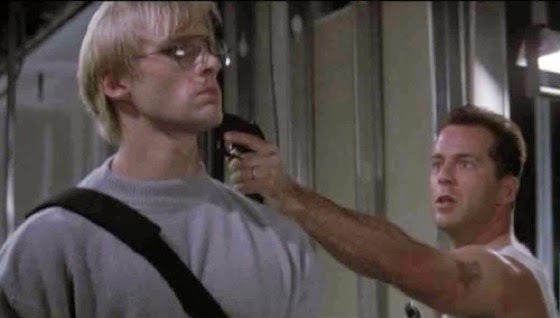 10 Things You Might Not Know About DIE HARD | Warped Factor - Words in the Key of Geek. Yippie Ki Yay! Geek Dave attends the 1988 Nakatomi Plaza Christmas Eve party, and comes away with 10 things you might not know about Die Hard. 1. 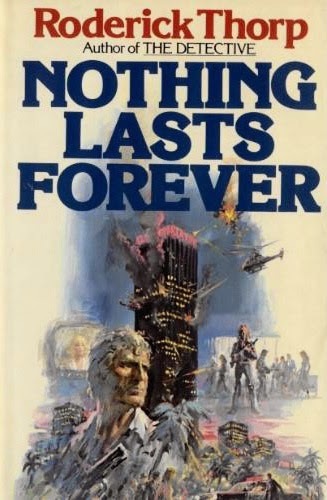 Die Hard is based on the 1979 book Nothing Lasts Forever, written by Roderick Thorp, and it stays pretty true to a lot of the source material. In the novel retired NYPD Detective Joe Leland is visiting the 40-story office headquarters of the Klaxon Oil Corporation in Los Angeles on Christmas Eve, where his daughter Stephanie Leland Gennaro works. While he is waiting for his daughter's Christmas party to end, a group of German terrorists take over the skyscraper. The gang is led by the brutal Anton "Little Tony" Gruber. 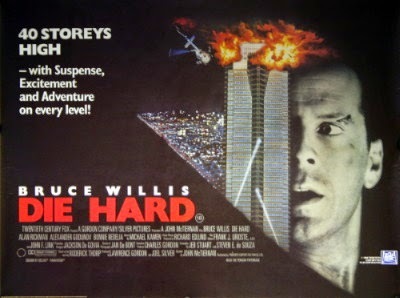 Thorp revealed that he had been to see the movie The Towering Inferno, which is about a skyscraper that catches on fire, he then fell asleep and basically dreamed the plot. 2. 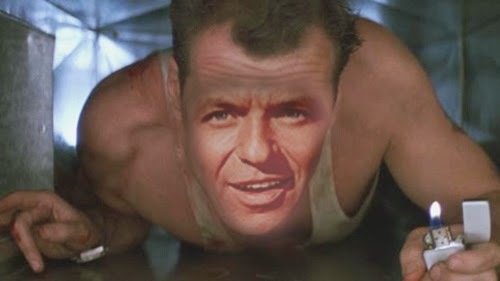 Thankfully Sinatra declined the role, and the rights to the movie were picked up by Clint Eastwood in the early 1980s. Eastwood had planned on starring in the film himself, but the project never got off the ground and the rights were sold on to 20th Century Fox. 3. With 20th Century Fox very keen to bring the story to the big screen, they signed up director John McTiernan and planned on using the story - with some minor adjustment - as a sequel to the 1985 Arnold Schwarzenegger movie Commando. Schwarzenegger had other plans, and passed. 4. Finally the script turned into what would become Die Hard. 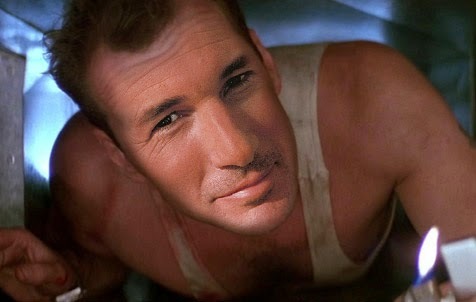 But before Bruce Willis landed the role of John McClane some other big name actors were sought out for the part, including; Sylvester Stallone, Harrison Ford, Mel Gibson, Burt Reynolds and Richard Gere! 5. Bruce Willis was also filming the TV show Moonlighting at the same time as Die Hard, so, just as Michael J Fox had done with Family Ties and Back To The Future, Willis would shoot his TV show by day and head over to the movie lot in the evening. This is the main reason the majority of the movie takes place at night. As a gesture to his blossoming Hollywood career, in the season 5 episode of Moonlighting 'When Girls Collide' a Die Hard movie poster is seen in the background behind Willis' character. 6. The Nakatomi Tower that is featured in Die Hard is actually the headquarters of 20th Century Fox. If you think this was done to save money, think again! Even though the building was not completely finished, 20th Century Fox charged the production rent for the use of the floors featured in the film! So they basically billed themselves - sounds like some kind of Tax loophole to me! 7. Although not fully functional there were still many floors of the building were people worked, and businesses were operational. This meant that the crew had to constantly apologise to all the people working below them in the building for gunfire. John McTiernan explained, "We’d have to periodically run downstairs and apologize to the lawyer beneath us saying, “We’re about to fire machine guns, will you excuse us?”"
"Speak proper German or I'll shoot you"
8. The terrorists are meant to be from Germany and speaking German, but most of their dialog is just nonsense with some German words strung together but not at all grammatically correct. This wasn't a problem for the US cinema audience, but when the movie was released in Germany itself the terrorists were re-branded as 'European' and given British names! Most of the incorrect dialogue was fixed for the VHS release of the movie. 9. Die Hard was Alan Rickman's movie debut. Clearly keen to impress he chose to do his own stunts, including the scene at the end where he falls to his death. Clearly he wasn't dropped of a sky scraper but he did fall 40 feet. To get that true look of terror on Hans Gruber's face director John McTiernan dropped Alan Rickman before the actor expected it, thus giving the genuine look of surprise. Rickman explained, "They were very careful to make it my last shot of the film." 10. Die Hard is such a great name for a movie, but surprisingly it was re-branded with some very strange titles for many of its overseas releases, including; Die Manly (Serbia), Chrystal Jungle (Spain), The Glass Trap (Poland), and most bizarrely Give Your Life Expensive (Hungary).